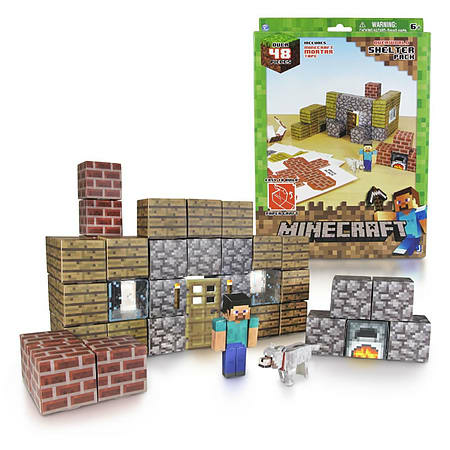 Inspired by the hit video game, Minecraft, these easy-to-build Paper Craft activity sets include over 48 pieces at 1/16 scale. 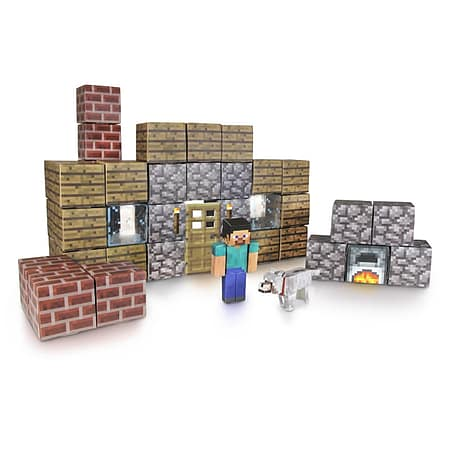 This set includes: Steve, Tame Wolf, Furnace x 2, Wooden Door x 2, Wooden Plank Block x 18, Brick Block x 6, Glass Block x 2, Cobblestone Block x 12, Stickers x 6 and Minecraft Mortar paper tape! For ages 6 years and over.